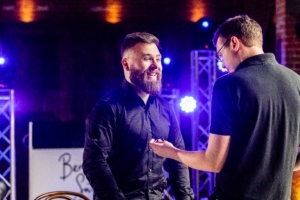 Benny Smyth is a premier event DJ based in Birmingham, The West Midlands & Warwickshire. 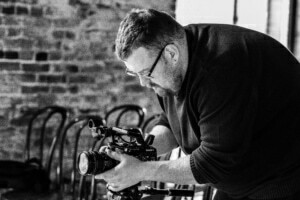 We have worked with Benny Smyth multiple times alongside our sister Wedding videography company Blue Ridge Films. He wanted a corporate brand film for his company that could also be used his social media marketing. As a Midlands videography company we get a chance to work with a lot of companies whilst producing live event films. Benny Smyth is an amazing DJ and was the perfect client, full of ideas for his commercial filming. From film concepts to script writing and location scouting, we worked closely with Benny through all of the pre production. He knew that he wanted to keep the filming location within the Midlands and their was no better location than Shustoke Barns. As Green Gorilla and Blue Ridge films, we have worked at Shustoke multiple times. We have created their Venue Promotional Films as well as visited to film dozens of Weddings. The venue is the perfect back drop for event films, music video production and wedding videography. The production was split over two days. Firstly, it was all about getting the interview filming done and Benny was the perfect subject. Using a teleprompter can be difficult but he took it in his stride and he came across great on film. Then it was about getting the footage to back up Benny. 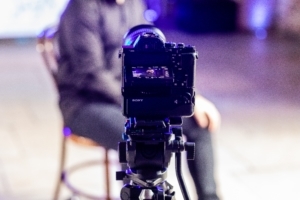 Live event filming heavily relies on the audience as you never know what they will do! Luckily, Benny picked the perfect wedding for us to film. A Corporate brand film that could also be used as a facebook video, website film and youtube video. Here is what the one any only Benny had to say for himself! “I had been working on an idea for a promotional video for a long time and while doing so, I had spoken to various professionals. It was only when I had a chance to speak to Tim at Blue Ridge/Green Gorilla that I felt like I had found someone who understood what it was that I wanted to achieve. Need a Corporate Brand Film? Get in touch today for a quote!